With 30+ years managing physician practices of all sizes and specialties in the private and public sectors, Mary Pat Whaley is one of the preeminent practice management consultants in the United States today. In addition to her Board Certification in Medical Practice Management, she is also a Certified Professional Coder and a Fellow in the American College of Medical Practice Executives. She is widely quoted in national practice management magazines including Medical Economics, Physicians Practice, the Journal of Medical Practice Management, Physicians Digest, and Outpatient Surgery Magazine. A prolific blogger, she draws 30K+ visitors to her website (managemypractice.com) monthly and is a Healthcare LinkedIn Thought Leader with 350,000+ followers reading her observations and posts. To listen to Janet Kennedy of Get Social Health interview Mary Pat, asking questions about Manage My Practice, social media for medical practices and new practice start-up use the podcast bar below or click here. 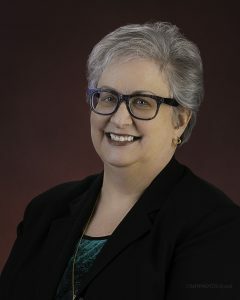 In addition to her social media expertise, Mary Pat is well-known for her deep knowledge in technology, particularly practice management and EMR software. Products she has worked with include Allscripts, GE Centricity, Greenway, eClinicalWorks, eMDs, Kareo, Practice Fusion, AzaleaHealth, Athena Collector & Clinicals, Cerner, Epic, 3M, Meditech, McKesson, Craneware, and MedAptus.